Can qigong be practiced too much? I have neglected this blog for far too long. Part of the reason for that is that I have so many different topic and tidbits to share that I never know where to begin, so I put it off. However, a student recently asked me if she could practice qigong too much. While giving my answer, I decided that I should include that information here. After all, my blog is supposed to be an extension of my website which contains only basic information about what I do and offer at OHMS. My blog gives me a chance to expand and further reveal. The qigong that I teach is general in a way that works the entire body evenly, and when practiced correctly, there are no dangers of creating blockages or stagnations. Though qigong practices that are specific to certain areas of the body or to certain acupuncture channels do have their uses and benefits, I feel a general qigong practice is going to be more beneficial overall, a better long-term strategy for health, and safer. So, can one practice qigong too much? The short answer is yes and no. Let me explain. If you are practicing correctly and the qigong that you are practicing is a safe one (not all qigong practices cultivate health or healthy mental states), then you cannot practice too much providing the following circumstances are considered and met also. You need to sleep. Is your practice interfering with your ability to achieve good sleep? Are you practicing when you should be sleeping? Good sleep is very important and should not be sacrificed for practice. You need to eat. Is your practice interfering with your appetite or digestive abilities? Are you practicing so much that you neglect eating? Eating good food at regular intervals is another important aspect of a healthy life and should not be sacrificed for practice. Drinking (mostly water) is also included in this notion. Do not neglect personal hygiene. Practicing to the exclusion of personal hygiene is not acceptable. Personal hygiene plays an important roll in good health that should not be overlooked. Do not ignore your social, fiscal, or educational duties. We are social creatures, and though some people have more active social lives than others, this edict still applies. If you have friends and family that you normally talk to or hang out with, do not isolate yourself from them or cut ties with them just because of qigong practice. Interactions with friends and family are part of good mental health. Also, if you work, keep working. Do not miss work because of your qigong practice. Do not forget to pay your bills, either. If you are in school, definitely keep up with your studies. Qigong practice can be fit into your free time, even if free time is scarce and at irregular intervals. Basically, numbers 1 through 4 can be over-simplified as “do not become obsessed.” This is an actual danger of practice. There is also a validly recognized physiological disorder called “qigong psychosis” (aka qigong deviation syndrome). This comes about from too much incorrect practice or from too much or non-supervised practice of more specific (and possibly dangerous) qigong exercises. I will not go into all of the details here, but a decent read on the topic can be found here. Do not practice while you are ill. 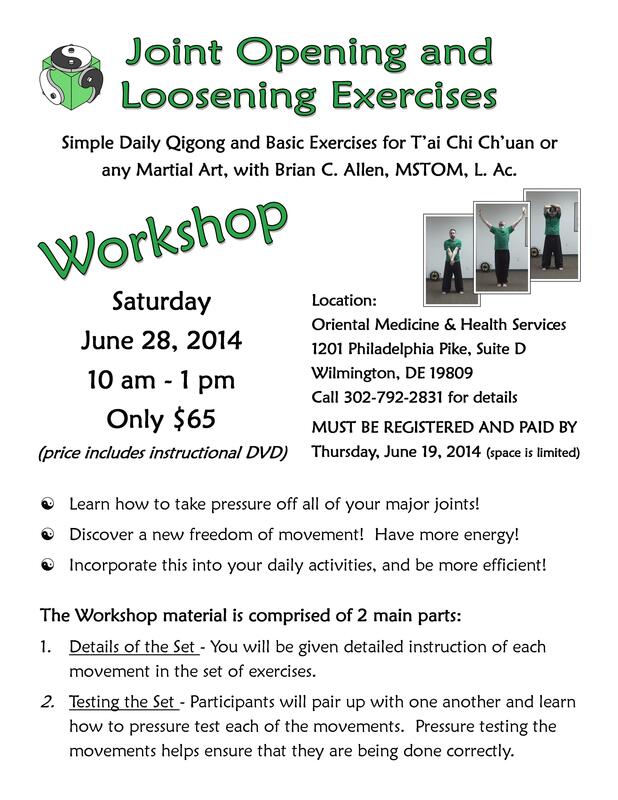 I know that sounds a little strange because qigong is supposed to make us healthier, right? Basically, one should not practice during the acute stages of a disease process or illness. For instance, if you are coming down with a “cold,” then do not practice qigong during that time. However, if the acute symptoms of the “cold” are gone but you have a lingering productive cough, you may practice. In fact, the right kind of practice can help to open the lungs and clear the phlegm. Do not wear yourself out. If you are practicing so much that you are physically worn out and lacking energy most of the time, then you have practiced too much. Even easy, gentle exercises can eventually take their toll. There is nothing wrong with getting a good workout if that is your intention, but you must allow for recovery time. Those are the main points, and to many they will seem like common sense. However, the above issues are all worth enumerating and explaining. Qigong is a great practice and can do us much good, but there are potential negative results. Set aside at least 30 continuous minutes to practice qigong. If time and your physical condition allows, 60 minutes or even 120 minutes would be better. This large continuous block of time should constitute your main practice for the day. If you are able to do this twice a day, then that is fine also. Do not let this guideline scare or discourage you. If you can only find 10 or 15 minutes, then use that time to practice because a little bit is better than nothing. Not everyone can manage to provide for such a block of continuous time each day. Whether you can or not, you can practice more, at shorter intervals, throughout the day. If you have 5 free minutes here, and 10 there, and 3 at another time, then you can utilize those minutes to work on specific aspects of your qigong practice. For instance you can just work on keeping a clear mind, or you can just work on relaxed, slow abdominal breathing. You may choose to just stand and work specifically on relaxing your hips and waist area. You get the idea. Use the small amounts of free time that you have throughout the day to help fine-tune your practice or to help you get over those sticking points. That way, when you do have a larger continuous block of time, your practice can be more meaningful. That’s about it. Qigong has tremendous depth. There is much to be discovered in even the simplest of exercises, and the more correctly it is done, the more benefits you will get from your practice. Also, practice is the key, so spend as much time practicing as you can. Like I said above, the things I stated here are fairly basic, but I think it helps to have it all spelled out and in one place. I hope this helps you. If you have any questions about these points, please let me know. Posted on October 15, 2010 May 24, 2015 Categories qigongTags Brian Allen, Brian C. Allen, ch'i kung, deviation, exercise, psychosis, qigong, syndromeLeave a comment on Can qigong be practiced too much?